A gorgeous board book perfect for little ones, the illustrations are really cute, colorful and inviting - love this book! 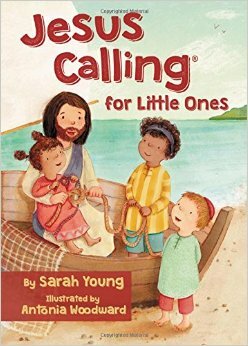 Each page has a scripture and then some words as written from God to the child. The first page has 1 John 3:1 and talks of how God considers His children His favorites! The second page has Matthew 10:30 and tells how God knows everything about you. The third page has Matthew 28:20 about how God is everywhere. The forth page is 2 Corinthians 5:7 about believing in God though you can't see Him. James 1:17 is the next page about everything good comes from God and then 1 Chronicles 16:34 is about thanking God. Philippians 4:6 about do not worry comes next and then Isaiah 41:10 about being brave and not being afraid. Colossians 3:13 about forgiveness followed by Psalm 92:4 about laughter and joy, Jeremiah 29:11 about how God has a good plan for us, 1 Thess 5:17 about telling Jesus what is in your heart and finally Deut 6:5 about how much God loves us. I love having board books of this calibre around for my two year old to enjoy that have short succinct scriptural references and applications. Please note that Booklook sent me a copy of this book for my review however this review is entirely my own.